Joseph Nadin was born in 1765. He worked as a spinner but he later became a thief-catcher. Paid by results, he gained a reputation for arresting innocent people. Nadin received £2 and a Tyburn ticket for every person convicted of a felony. A Tyburn ticket exempted the holder from any public office in the town of residence. It is claimed that Nadin received over £10 for these Tyburn tickets and his activities as a thief-catcher made him a wealthy man. In 1803, impressed by his success as a thief-catcher, the Manchester authorities made Nadin their Deputy-Constable. Nadin soon developed a reputation for corruption, for example, he received money from most of the owners of brothels in Manchester. As well as arresting criminals, Nadin was given responsibility of dealing with the growing social unrest in Manchester. In 1812 Nadin arrested thirty-eight weavers for political offences. Nadin was much hated by local radicals and they claimed that for twenty years he was the "real ruler of Manchester". 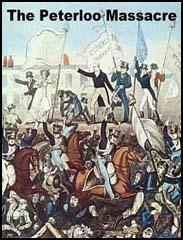 On 16th August 1819 William Hulton instructed Joseph Nadin to arrest Henry Hunt and the other leaders of the demonstration. Nadin replied that this could not be done without the help of the military. Hulton then ordered Lieutenant Colonel L'Estrange, the commander of the military forces in Manchester and Major Trafford, the commander of the Manchester & Salford Yeomanry to arrest the men. It was while the military attempted to make these arrests that eleven people were killed and over four hundred were injured. Nadin retired from his post as Deputy Constable in 1823. He had by this time obtained a large fortune from his corrupt activities and was able to buy a large house and land in Cheshire. Joseph Nadin died aged eighty-three in 1848. (1) On 16th August 1819, William Hulton asked Joseph Nadin to arrest Henry Hunt and the other organisers of the meeting at St. Peter's Field. William Hulton: Is it not possible for the police aided by the Special Constables, to execute the warrant? Joseph Nadin: Never with those Special Constables, nor with ten times the number, nor with all the Special Constables in England. William Hulton: Cannot it be executed without military force? William Hulton: Then you shall have the military force. (2) Joseph Nadin gave evidence at Henry Hunt trial explaining why he did not serve the warrants at St. Peter's Field. 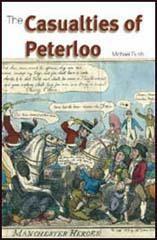 He described being attacked by a mob of 2,000 at a riot at New Cross earlier in August, 1819. I dare not do it, from the reception I had received a few days before, and that on attempting to execute a warrant. The Boroughreve and constables, and me, and two or three beadles, were called to New Cross. The paper-sticker was posting bills. We had sent a bill-sticker and two of our men with him. We went to the place, where it was said our men were in the house, and they were stoning the house; we went through the mob when a shower of stones came upon us. Mr. Moore and Mr. Clayton got away, and Andrew with me, and the two beadles could not get away well. We got on the outside and turned down Oldham Street, and then Mr. Moore and Mr. Clayton were bringing in the Military. (3) In his book Historical Sketches and Personal Reminiscences of Manchester (1851), Archibald Prentice commented on Joseph Nadin's treatment of radicals. (4) Social reformer, Samuel Bamford was arrested several times by Joseph Nadin. Bamford wrote an account of Nadin in his book Passage in the Life of a Radical. Joseph Nadin was about 6 feet 1 inch in height, with an uncommon breadth and solidity of frame. His head was full sized, his complexion sallow, his hair dark and slightly grey; his features were broad and non-intellectual, his voice loud, his language coarse and illiterate, and his manner rude and overbearing to equals or inferiors. He was exceedingly crafty in his business, and somewhat unfeeling. He was certainly a somewhat remarkable person in uncommon times. He showed that he had the homely tact to take care of his own interests. He housed a good harvest whilst the sun was up, and retired to spend his evening in ease and plenty on a farm of his own within the borders of Cheshire.